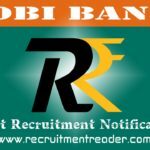 Latest Allahabad Bank Recruitment Notification 2019 – Allahabad Bank invites applications for the positions of Specialist Officers (Specialist Officers Recruitment Project 2019-20). The Bank announced 92 vacancies for the SO Post (14 in JMG Scale-I and 78 in MMG Scale-II). 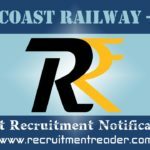 Candidates who have eligibility as per Allahabad Bank Notification may apply online for the current vacancies at Allahabad Bank Careers. The Last date to submit the online application form is 29.04.2019. Before apply for the job vacancy, candidates should ensure that they satisfy the eligibility conditions given in the bank advertisement. Also be aware of job profile, job requirement, remuneration, selection process and application process from the advertisement. 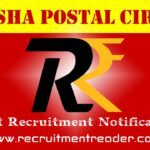 Allahabad Bank will disable the online application link after the stipulated date. So, submit the online form on or before the last date. Lower age limit is 20/ 21/ 24 years. Age limit varies for posts so check official notification. B.E/ B.Tech/ LLB/ CA/ ICWA/ MBA/ Graduate in relevant disciplines. Look into Allahabad Notification for more details of qualification. For SC/ ST/ PWD candidates, ₹100/- (Intimation Charges Only). For other candidates, ₹600/- (Application Fee + Intimation Charges). Logon to Allahabad Bank website and then locate Careers page. In Careers, find advertisement link for Specialist Officers Recruitment. Complete the online application process and make fee payment successfully. 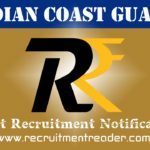 Find upcoming Allahabad Bank recruitment notifications @ Recruitment Reader. 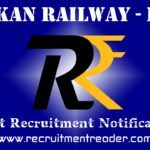 For more details regarding Allahabad Bank Recruitment Notification 2019 logon to www.allahabadbank.in. The information given above is based on the Allahabad Bank official advertisement. Allahabad Bank invites applications for the positions of Faculty Member, Office Assistant and Watchman/ Gardener. The Bank announced 04 vacancies for the current job openings at RSETI in Mirzapur and Sonbhadra. Candidates who have eligibility as per Allahabad Bank Notification may apply for the current vacancies through proper channel in prescribed format. The Application format can be downloaded form Allahabad Bank Careers. The Last date to submit the application form is 22.02.2019. Download the application format from the bank website. Send the completely filled application with required documents to the postal address given in the official notification. In Careers, find advertisement link for above said posts. For more details regarding Allahabad Bank Recruitment Notification 2019 logon to www.allahabadbank.in. The information given above is based on the Allahabad Bank official advertisement.